This past weekend, Pro Tour Fate Reforged was held in Maryland. This high level Modern formatted constructed tournament was the first time we would get a chance to look at popular decks before the meta settles after the ban list came out, taking out Treasure Cruise, Dig Through Time, Birthing Pod, and re-releasing Golgari Grave-Troll back into Modern. Unsurprisingly, different flavors of Abzan made a wide showing at this tournament. 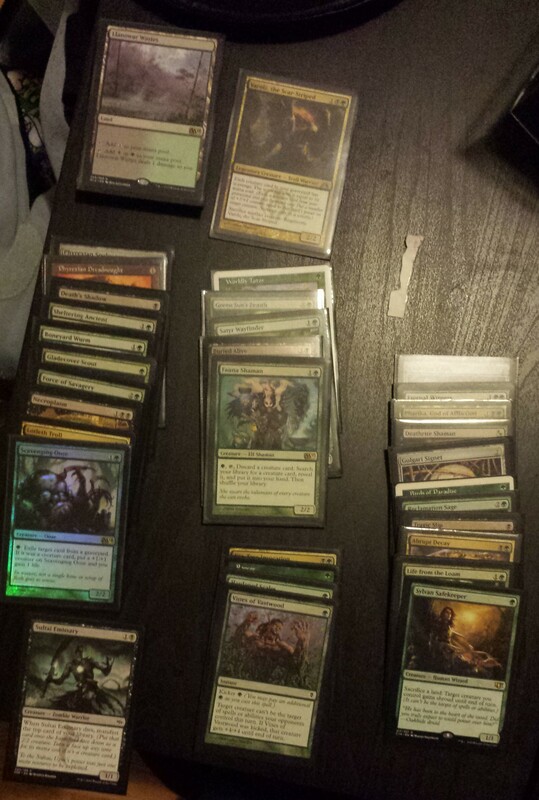 However, Antoni Del Moral Leon took 1st place with his version of the Splinter Twin combo deck. Burn made a good showing being a good meta call and having a good GBx matchup, and a lot of people had their eyes on Justin Cohen and his amazing showing with the Summer Bloom deck. Personally, I’m waiting for a true control deck to put up results. Maybe UWR control will start putting up good results hopefully. I think that the meta is prime for the Kiki-Jiki/Restoration Angel combo in a control shell. This Pro Tour put up a good 36 different archetypes out of 258 decks, which is a diverse meta. However, almost a third of those are Abzan decks. With the fact that it has a decent matchup against anything if you know how to play against other popular deck archetypes, and that it’s a deck with different paths to victory, this isn’t that big a surprise. But the blue mage in me still wants to see a bit more blue in the meta, but we’ll have to wait for it to settle more until we can see some more diverse results. Tiny plays, Tiny Leaders, Large Format. I constructed a Tiny Leaders deck this past weekend, and I’ve had a blast playing it! For those unaware, the format is like EDH/Commander, but with 50 cards instead of 100, and everything has to be under converted mana cost 3. It’s a lot faster than I thought it would be honestly, because EDH tends to be a longer format. If you want to look at the rest of the rules, they are here. I made a Varolz, the Scar Striped Deck, if you’re curious, my list is here. It uses Varolz, and drops an early game Phyrexian Dreadnought or Death’s Shadow and scavenge for the win. It also has a backup early game beatdown plan with Sheltering Ancient. Apparently Geist of St. Traft is a popular early game voltron general, and I can definitely see why. Hopefully I’ll get to see some more Tiny Leaders soon!